Landscaping a backyard area can be quite the undertaking depending on the desired design. If the outdoor environment you want to create is one of tranquility and relaxation, there are endless options to explore. Everything from river rocks and ponds to cobblestoned pathways and gazebos, offers its own aesthetic value to any outdoor area. To get your landscaping ideas flowing, check out the modern take on a Koi pond in the following photos. 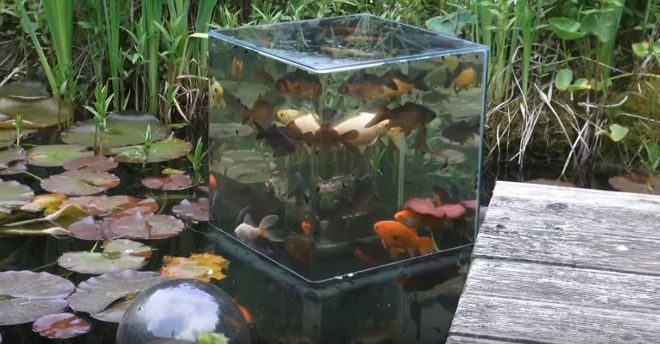 The increasingly popular design involves installing a tower or dome-like structure over a pond, which creates a modern and stunning fish tower tank. The seemingly complicated installation is not as difficult as one might guess. In fact, many homeowners have taken to constructing and installing the fish observation tanks all on their own. There are a number of methods one can use to install a fish tower. 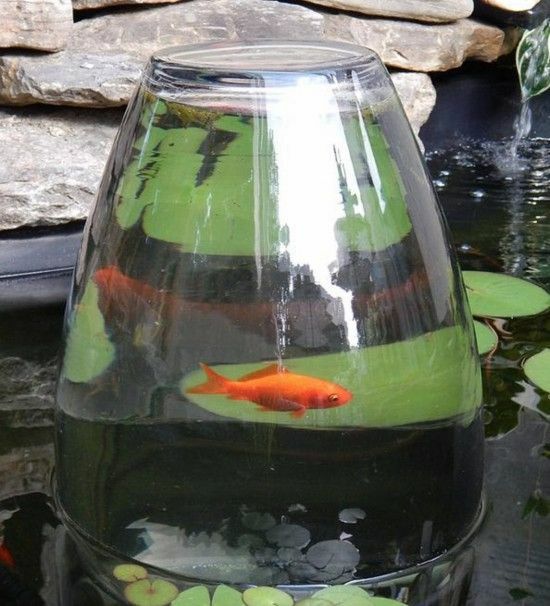 Some companies even sell ready made containers such as the Aquatic Add-A-Sphere, which makes for easy installation, as demonstrated by one woman's tutorial using the addition. For the DIYers out there, these fish tower tanks can be constructed right at home and installed in just a few pain-free steps. 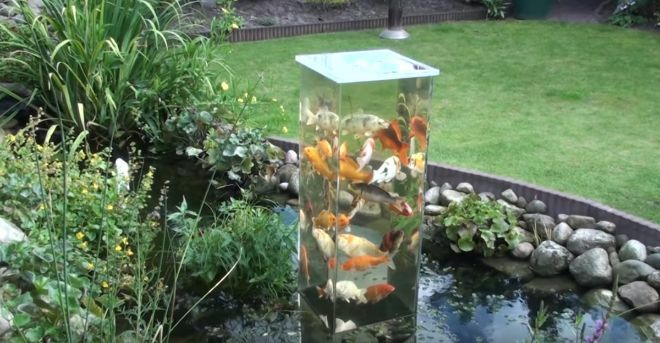 One homeowner demonstrated his method for building and installing a tower tank in an easy-to-follow tutorial that will have your Koi happy and exploring in no time. 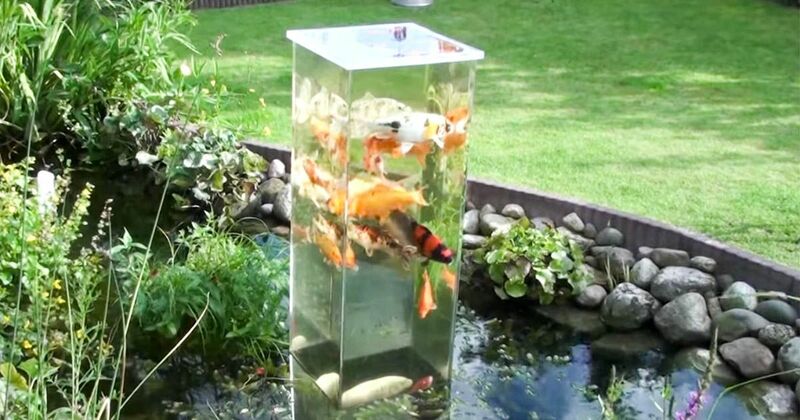 Watch the following video to see a Koi tower tank in action. The tower in the footage was designed by a German homeowner named T.C. Helmut.